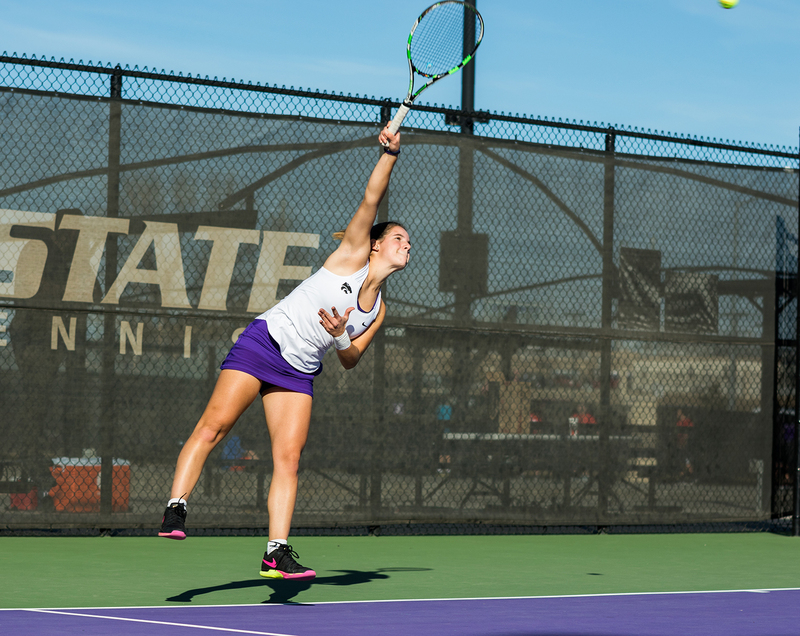 K-State’s tennis team started their four-game road trip on the right foot this weekend, breezing past North Texas 6-2 and pulling out a close one against Washington State 4-3. 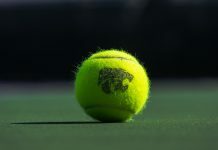 The Wildcats faced some adversity during their match against North Texas. Senior Palma Juhasz sustained an injury in her previous match, calling for freshman Ines Mesquita to team up at the No. 1 spot with junior Carolina Costamagna in doubles play. This forced senior Livia Cirnu to pair up with senior Iva Bago at the No. 3 spot, who managed to beat North Texas’ Laura Arciniegas and Minying Liang 6-2. 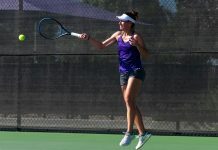 The dynamic duo of sophomores Millie Stretton and Ana Garcia Navas stayed together and dominated North Texas at the No. 2 spot, coming out victorious 6-1. On the singles side of the equation, Cirnu won her match, racking up her seventh win in a row. Despite Garcia Navas and senior Maria Panaite losing their first sets, they each managed to fight back and win in three sets. Garcia Navas took down Liang, 4-6, 6-0, 6-1 and Panaite beat Alexandra Heczey 4-6, 6-4, 7-6. K-State got payback against Washington State on Saturday, after falling to them last season. The Wildcats did not pick up the doubles point. However, Mesquita and Costamagna came through, winning at the No. 1 spot. K-State caught fire during their singles play, winning all the matches from positions Nos. 1-4. Costamagna found a way to bounce back after losing the day prior. Costamagna defeated the Cougars’ Barbora Michalkova, 6-4, 0-6, 6-4, making it a great outing from the No. 1 spot. Stretton and Garcia Navas both came in clutch and pulled out the win in their three-set matches, leading K-State past Washington State. It was not all good news for the Wildcats, as Cirnu and Panaite both lost their win streaks of seven and five, respectively. Not to mention, the Wildcats will have to go the rest of the season without Juhasz after her injury to Missouri last weekend. K-State continues their road trip as they head to Chicago this weekend. The Wildcats will face the University of Illinois at Chicago on Saturday, followed by DePaul on Sunday.